Administrative Region. My last trip took me way off the beaten path, and this time, I’m eager to go where everyone goes. Cheapest way to get to the city Our flight arrived at 10am, still too early to check-in. Before exiting to the arrival hall, I inquired at the Visitor’s Center about the best way to go to South Pacific Hotel in Wan Chai without taking the train. I figured a 40-minute bus ride isn’t so bad if check-in isn’t until 2pm. 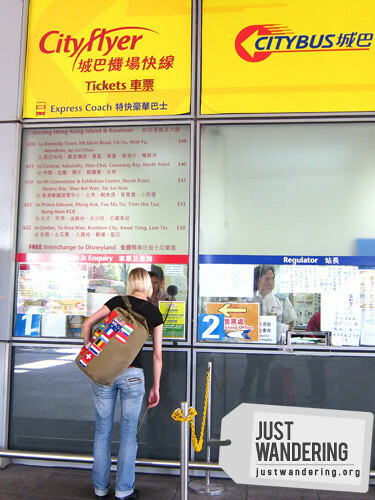 Also, the HK$40 fare on the A11 bus was a far cry from the Airport Express’ HK$100 one-way ticket. Since my roaming failed me again, I opted to buy a local sim to keep my roaming bills to a minimum. For HK$65, I got a PCCW sim card loaded with $65 worth of calls, texts and data. It proved to be a great decision as I had to make a number of texts that weekend. At Php 25 per international text while roaming, I was glad I had a local sim card before leaving the airport. The airport bus was a double decker, with a luggage rack on the lower deck. If you’re paranoid about your things but still want to sit on the upper deck, there are security cameras so you can keep an eye on your bags. You wouldn’t have to worry about getting off at the wrong stop either, as announcements are given in English over the speakers and on the sign at the front of the bus. Forty minutes went by in a breeze as we enjoyed the bus’ free wi-fi. The hotel was easy enough to find, and we were elated that there are plenty of places to eat within the vicinity. From small hole-in-the-wall eateries to restaurants serving international cuisines, we were spoilt for choice in our neighborhood. There were even three 7-11 stores all not more than a kilometer from where we were staying for stocking up on junk food and cola. was Victoria Peak. Also known as The Peak, this view deck sits in the highest mountain on Hong Kong Island. 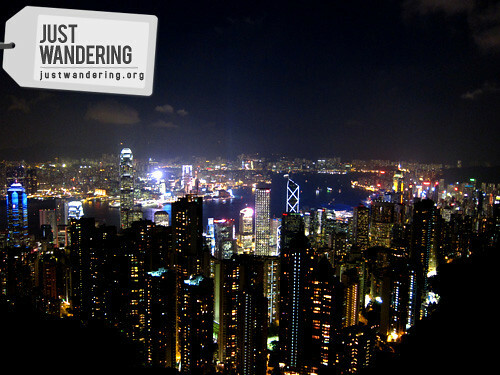 For HK$25, you get to look in awe at the gorgeous sunset and look down on the towering skyscrapers. As darkness fall, we see each building light up until the scene before us start to resemble the postcards we always see of Hong Kong. If you go in autumn or winter you’ll get the extra thrill of experience strong gusts of northerly winds threatening to blow away any unsecured item and leaving you shivering in your raspberry (faux) fur lined boots. While The Peak Tram is the popular (and novel) way of going up to the top, we opted for the cheaper alternative: the bus. 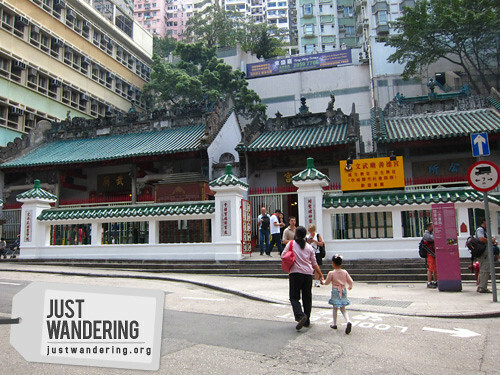 For only HK$9.80 one way, we enjoyed the scenery as the driver skillfully navigated his bus up the winding road. Though taking the bus doesn’t have the same history as the tram, it also meant not having to deal with the long queues of passengers waiting to board. We started slow the following day, not really wanting to rush and see everything. After the taking the bus the previous day, we were eager to try out Hong Kong’s other forms of public transport. A ride on board the tram was in order, and at HK$2 per person, it’s a cheap way to go from one end of the island to the other. We got off at Central, supposedly to take pictures of the Legislative building. Upon seeing signs that exclaim there is free wi-fi in the area, we settled down and were soon lost in our online universe. vending machines among others. It’s very convenient: you just tap in and you’re good to go. Reloading is easy as well — just head to the nearest 7-11 and hand the cashier the amount you want loaded unto your card. The card is valid for up to 1,000 days after last use. 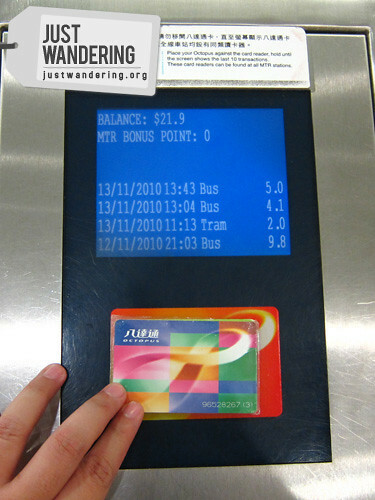 If you travel (or plan to travel) in Hong Kong often, consider getting an Octopus Card. of spiral incense that hang from the roof. throngs of people out in the street and the wide array of choices Mongkok’s shops give me. Despite the temptation, I managed to resist the urge to whip out my credit card and contented myself with a couple of Lego Starwars mini figure to replace the ones I lost last February. I suppose it was lucky that I was pressed for time and wasn’t able to check out the other stores, or I would have totally killed my cards. and is a popular cheap thrill for tourists and locals alike. To complete the Hong Kong public transport experience, we took the Star Ferry from Tsim Sha Tsui to Wan Chai. Costing HK$3 (HK$2.50 on weekdays), this a lovely relaxing way to cap a day of exploring Hong Kong. ooooh. i really loved HK (and Macau) mainly because it’s a cold place. lol but, yeah, liked it better than SG even though most people speak cantonese and not english, the train isn’t as new as SG’s, and a part of it looked like binondo. 1st of all congratulations for winning the best travel blog award! I love your blogs it makes me wanna travel more and more just like you! I’m truly inspired by what you do! 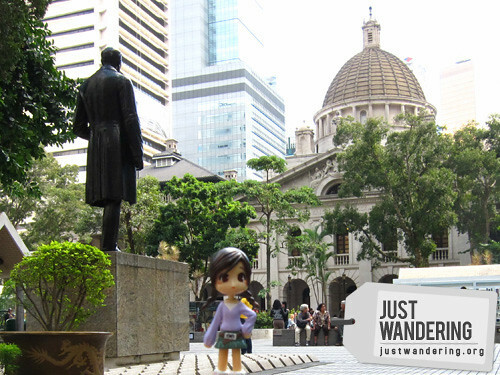 Awww, I would love to stroll at HK streets for the 2nd time too! Tama ka, HK has charms na babalik-balikan! ? HK is a really nice play to visit, and I’m planning to go there too maybe this year if i have enough budget. Ooh, going down on the tram backwards sounds interesting! i need not comment about the food, since it is always awesome! Hi.. pwede po magtanong ano po hotel ang pnka cheap n pwede namin tuluyan? my flyt is on dec.5.. thanks.. Ask ko lang kung anong Bus number yong sinakyan niyo going up the Peak? Would you also know kung anong MTR station pwede bumaba if you’re coming from Tsim sha Tsui going to the Peak to take that bus na sinakyan niyo?